At the church I pastor, Mecklenburg Community Church (Meck), our mission is clear: to help spiritual explorers become fully devoted followers of Christ. In our culture, we’ve observed that the “nones” – those with no religious affiliation – are on the rise and, as a direct result of this, Generation Z is proving to be the first truly post-Christian generation. In order for Meck to be effective at not only reaching the unchurched, but unchurched nones and (specifically) Generation Z, we realized that we had to make some decisions. 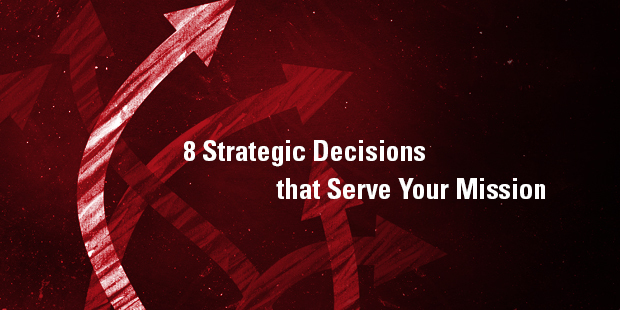 Eight decisions, to be precise, that have proven to be strategic in serving our mission. It is time to rethink evangelism, and that begins with capturing a new understanding of evangelism; one that sees evangelism as both a process and an event. When someone comes to saving faith in Christ, there is both an adoption process and an actual decision event. In light of today’s realities, there must be fresh attention paid to the process that leads people to the event of salvation. The goal is not simply knowing how to articulate the means of coming to Christ, but how to facilitate and enable the person to progress from a point of having no relationship with Christ to one where they are even able to consider accepting Christ in a responsible fashion. In Acts 2, we find Peter speaking to the God-fearing Jews of Jerusalem. His sermon wasn’t even the length of a good blog, yet 3,000 repented because they had a good, foundational knowledge of the Scriptures. Move forward to Acts 17, with Paul on Mars Hill speaking to the philosophers and spiritual seekers of Athens. Here was a spiritual marketplace where truth was relative, worldviews and gods littered the landscape, and the average person wouldn’t know the difference between Isaac and an iPad. Sound familiar? Paul couldn’t take an Acts 2 approach here, much less give an Acts 2 message. He had to find a new way to connect with the culture and the people in it. He had to go all the way back to the beginning of creation and work his way forward. This is precisely where we find ourselves today. Which means our primary cultural currency needs to be explanation. I think we all know what a good missionary would do if dropped into the darkest recesses of the Amazon basin to reach an unreached people group. They would learn the language, try to understand the customs and rituals, and work to translate the Scriptures – particularly the message of the Gospel – into the indigenous language. When it comes to worship, they would incorporate the musical styles and instruments of the people. They might even attempt to dress more like them. In short, they would try to build every cultural bridge they could into the world of that unreached people group in order to bring Christ to bear. Why is it that what would be so natural, so obvious, so clear to do in that missiological setting is so resisted in the West? In being cultural missionaries, we must be laser sharp in our focus, which means pulling out all the stops to reach the unchurched in our city. One of the natural flows of the church is that left to itself, the church will grow old. It will age. And that means, by default, you will not reach the coming generations. So while the goal is not to simply be a church for young people, neither is the goal to be a church for old people – a church that will have one generational cycle before closing its doors. This means the leadership of the church must invest a disproportionate amount of energy and intentionality in order to maintain a vibrant population of young adults. At Meck, we’ve used three simple strategies to accomplish this goal: 1) To attract young people, you have to hire young people; 2) To attract young people, you have to platform young people; and, 3) To attract young people, you have to acknowledge young people. Bottom line? Sometimes bridging a cultural divide is as simple as who you hire, who you put on stage, and who you acknowledge. At Meck, we prioritize children’s ministry above every other ministry. Why? Because it is the most important ministry for the mission of the church. 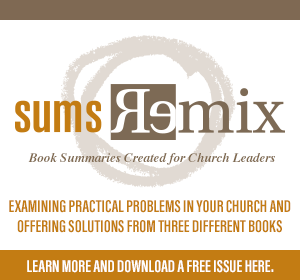 Too many churches treat children’s ministry as a necessary evil. It’s often severely underfunded, understaffed and underappreciated. Wake up. Children are the heart of your growth engine. And if an unchurched person ever was to come to your church uninvited, it would probably be for the sake of their kids. And if they come because they were invited, what you do with their children will be a deal breaker. If you want to reach Generation Z, realize that many of them are in your children’s ministry right now or will only be reached if they choose to enter it. Make sure that when they do, it is an experience that will have them begging to come back. At Meck, a culture of invitation is both cultivated and celebrated. That’s what we do and what we’re after. We talk about inviting our friends and family all the time. We create tools to put in the hands of people to use to invite their friends all the time. We celebrate and honor people who invite people all the time. Such tools can be something as simple as pens with the name of our church and our website to hand to someone needing a pen, or empty pizza boxes with a card inside inviting them to Meck and a voucher for a free pizza – no strings attached – to bring to someone when you see a moving truck. For special times in the life of the church, like Easter and Christmas, we design tools to be fun – fun to give and fun to receive. People use these things all the time to reach out to their unchurched family, friends, neighbors and anyone else they interact with in their orbit. I cannot begin to express how important it is to “disciple your mission.” I’ve never heard that phrase, so let me coin it. To “disciple your mission” means that you develop your discipleship, first and foremost, around who it is you are trying to reach. We are trying to reach the unchurched, and even more than that, the nones, in view of the pressing challenge of the rise of Generation Z. So our discipleship is going to be two-fold: serve the needs of our existing believers for missional engagement, and disciple the newly converted on the most foundational aspects of Christian life and thought. So where does discipleship find its home at Meck? It’s not in the weekend service and it’s not even through small groups. We created the Meck Institute, a community-college approach to discipleship that offers classes, seminars, experiences and events designed wholly for spiritual growth and formation. They are offered on all days of the week at a variety of times, and we also have online classes. So those are our eight strategic decisions. But here’s the secret sauce – the ingredient behind all of those decisions. We really are turned outward. We really are after the unchurched. Really. 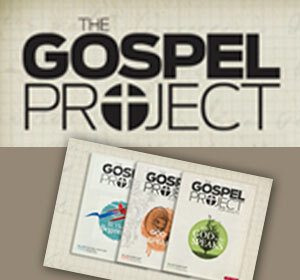 Our mission is one of the most important values that we hold as a church and one that shapes everything we do. What is killing the church today is having the mission focused on keeping Christians within the church happy, well fed, and growing. Discipleship is continually pitted against evangelism and championed as the endgame for the church. … it must be about those who have not crossed the line of faith. Contact an Auxano Navigator to learn how strategy can serve your mission.